One of my New Years resolutions: Get better organized. Relying on my iphone, sketchbook, and work calendars had become cumbersome to say the least. I realized that despite all of the wonderful tablets, phones, and other gadgets that I couldn't rely on technology. I am a paper and pen kind of guy especially with my need to sketch and create lists pretty much constantly. So, I had to go old school and find a planner that combined calendar, project to do list, and sketchbook with some flexibility to organize by project. The Circa system by Levenger was the answer - essentially a flexible notebook system that allows you to create the planner or notebook that works for you. 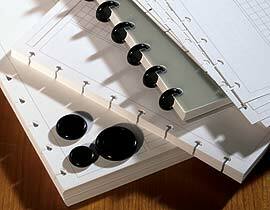 The ring binding with custom holes allows you to move around pages. 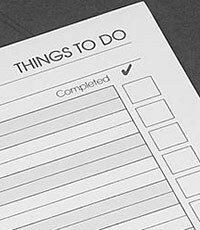 I was sold but alas - while the weekly planner and project to-do list inserts were available, blank pages for sketching were not. Almost a deal breaker until I did some research online and found that Levenger finessed the technology originally designed by Rollabind who sells blank pages. Everything came together and I am pleased with my choice! I even found a way to customize the cover. My model making skills came in handy as I cut some illustration board and glued down some fabric samples...the front and back cover are different but I dig the results. Bring it on 2011 - I am ready! My advice: everyone works and thinks differently. Be creative and you can find a system that works for you!